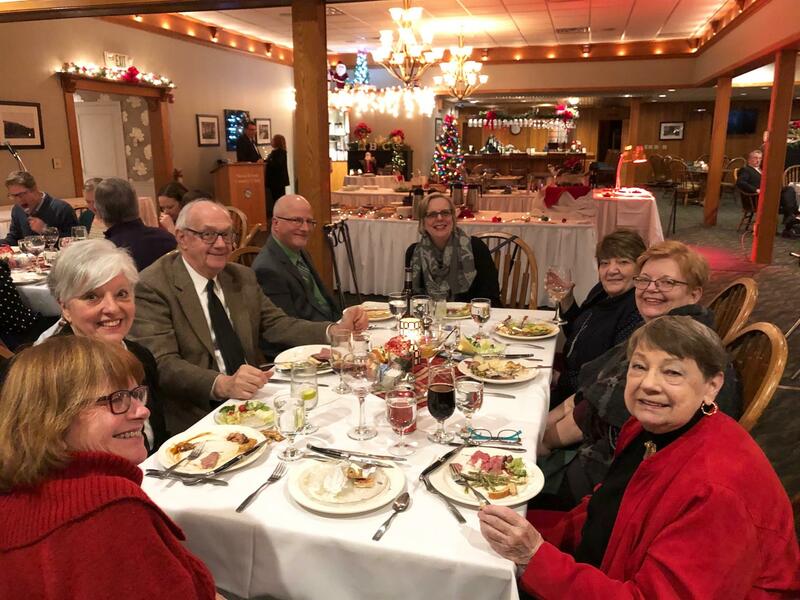 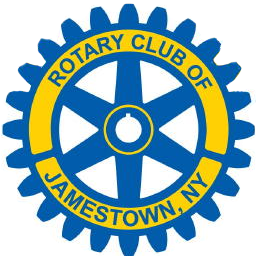 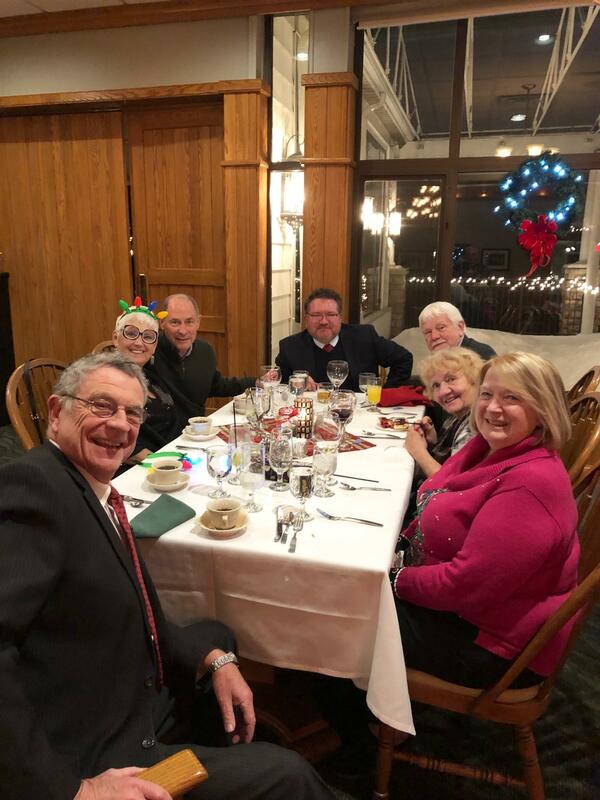 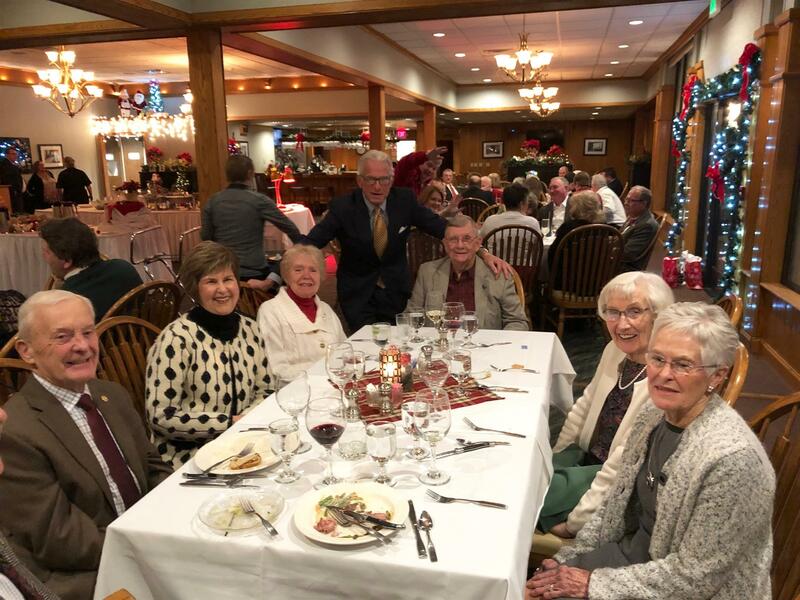 60 Rotarians enjoyed Moon Brook Country Club for our annual Christmas Party! 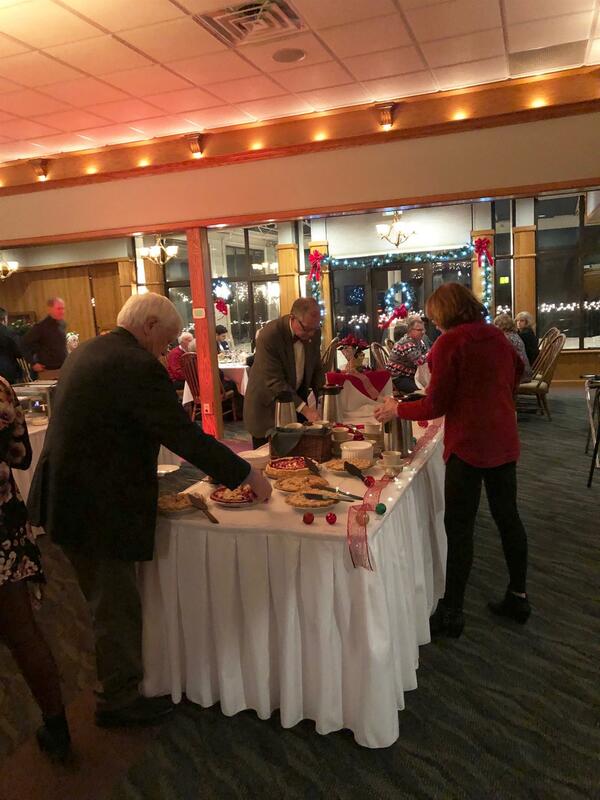 Liberal libations - delicious buffet and fantastic desserts. 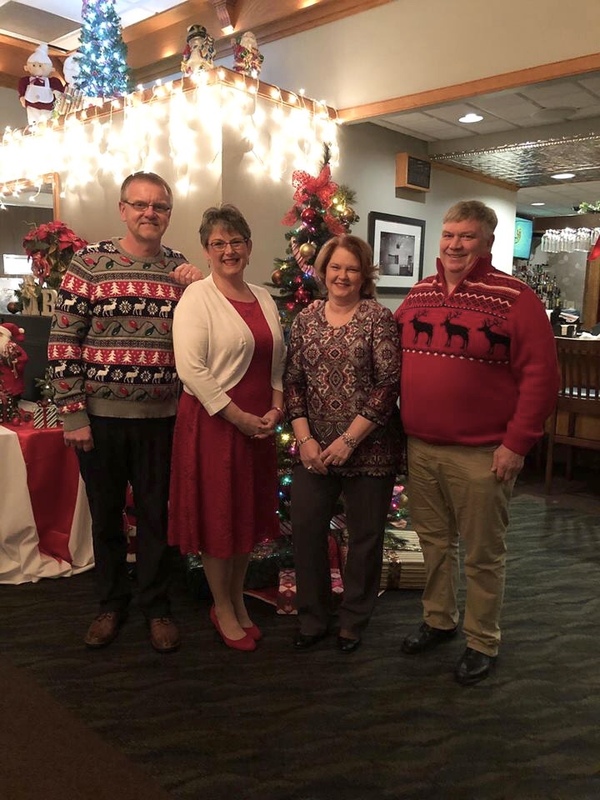 Kathy Burch won the 50/50 and Andy Goodell & Greg Jones won cookie trays donated by Elegant Edibles and promptly gave them to each of the exchange students! 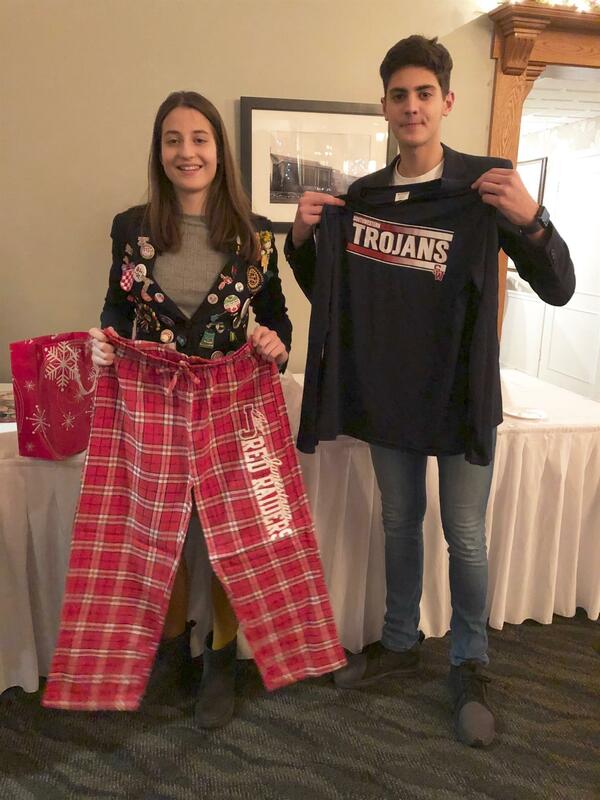 Exchange students receive Xmas gifts with their school logos!